Liverpool Sound City offers a delectable selection of the UK’s hottest emerging buzz acts, Getintothis sifts through the lot and picks our top 10 not to miss. So, yesterday we brought you the raft of emerging acts to check out at Liverpool Sound City 2013. Today we’ve a run down of the top UK bands which have whet our appetite which mix the big hitters, the emerging buzz bands and a some under the radar belters. Delicious debauched pop fizz perfect to finish the opening night. Expect rushes of synth and ramped up bass balanced by sultry vocals and stirring hooks – a punch in the belly with cheeky uppercuts to the cerebral cortex. GIT Award nominee Jetta provides BIG warm up action too. Drenge are two brothers are making some serious waves with their irreverent take on punk. With a grunge aesthetic and cheerfully visceral song titles (Necromance is Dead, anyone? ), they’re already a force to be reckoned with – and they’re barely even out of their teens. Pleasingly anarchic, this is one act certain to whip the Shipping Forecast into a frenzy. A myriad of textures and a bolder, bombastic approach to live sound is promised by t’Kimbie. We spoke to them last week and they said we should be ready for something special. The Garage, home to much of last year’s dance mania, seems the perfect setting for some last night madness. Get ready. Getintothis chats to Mount Kimbie. Savages marked themselves out as last year’s post-punk darlings – though they’d definitely shrink from the word “darling”. Keen to avoid any girl band trappings, they prefer to keep their lyrics abrasive, their riffs brutal, and their clothes strictly monochrome. Expect angular stylings haunted by the likes of Joy Division and Magazine. Your pulse may race. Looks like Sheffield still has a few tricks up its sleeve – the small matter of being landlocked doesn’t mean the city can’t produce glistening sun-kissed anthems fit for the West Coast. Step up, Best Friends, a South Yorkshire quartet who bring a breezy addition to the garage/surf canon. They’re also bound to bring a party atmosphere to the Kazimier. All we need now is the barbeque. Long-time favourites Future of the Left will be making a much-anticipated return to Liverpool. 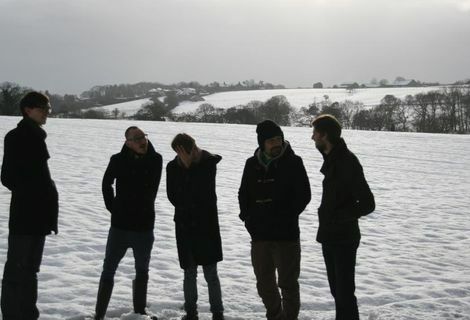 Formed by members of mclusky and Jarcrew, the band first came to attention in 2007 with album Curses and are known for their aggressive and unflinching sound. They were one of the headliners at Liverpool International Festival Of Psychedelia, sending onlookers into spirals of rapture with a performance which was by turns earthy and electrifying. But there’s a whole jukebox of influences beneath their folk exterior: this is Seventies prog-rock informed by hip-hop production. Inventive and seriously enjoyable. 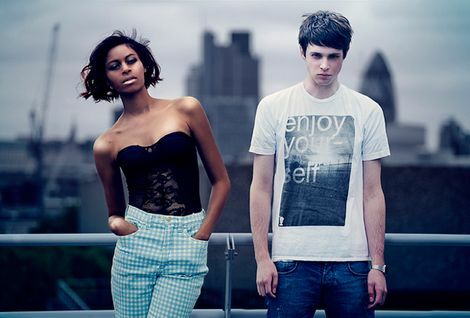 While their 2009 single Aidy’s Girl is a Computer won a feverish reception within dubstep circles, it’s Darkstar‘s new material which really marks them out as originals. 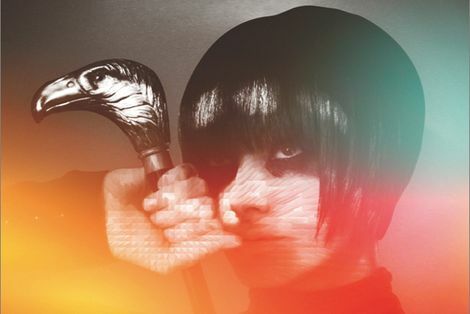 Weaving together elements of dub and synth-pop, the Warp Records outfit experiment with different time signatures and textures to create a brand of electronica entirely their own. Purveyors of indie-pop loveliness, Still Corners offer up dextrously-layered harmonies and whispered vocals so fragile they might snap – if they weren’t cushioned in reverb that is. Signed to Subpop, the band are set to release their new album this May, and their new material brings something new to the table, translating their signature sixties swoon into something a little more synth-pop. A gloriously psychedelic outfit based in London, Temples are recreating glorious psych-pop marvels. Though they’re largely a revivalist kind of band, this will appeal to those who enjoy finding 1960s hues refracted through the lens of people too young to ever have queued up for Ribena at the Cavern. Or anything stronger. Liverpool Sound City 2013: Getintothis‘ top Liverpool bands to watch. Liverpool Sound City 2013: Alessi’s Ark, All We Are, Natalie McCool and more for Getintothis stage. 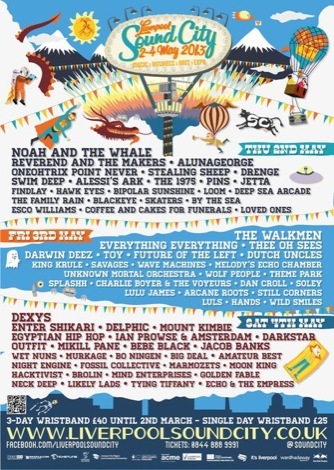 Liverpool Sound City 2013: Final wave of bands set for May festival. Liverpool Sound City 2013: Dexys to play Cathedral as more acts announced. 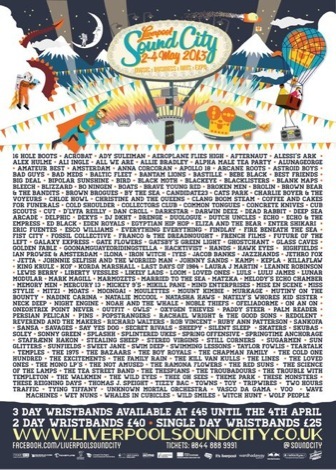 Liverpool Sound City 2013 announces first wave of bands. Getintothis top 10 bands of Liverpool Sound City 2012. Getintothis‘ Liverpool Sound City 2012 Day One round up. Getintothis‘ Liverpool Sound City 2012 Day Two round up. Getintothis‘ Liverpool Sound City 2012 Day Three round up. Getntothis‘ top 10 bands of Liverpool Sound City 2011. Liverpool Sound City runs from May 2-4.